Located in Gorele, Gayasis Resort Hotel is by the sea, within a 10-minute drive of Hayrullah Koc Park and Martyrs Monument. Featured amenities include complimentary wired Internet access, a 24-hour business center, and express check-in. Free valet parking is available onsite. Located in Kas, Villa Zeytouna is a 4-minute drive from Kalkan Bazaar and 9 minutes from Kaputas Beach. Free self parking is available onsite. 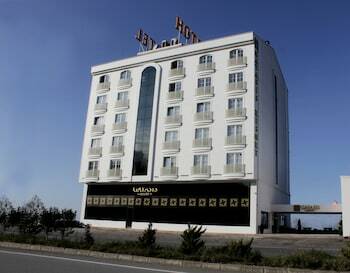 Located in Trabzon, Avrasya - on 3 ApartHotel is minutes from Karadeniz Technical University and Farabi Hospital.